Today I'm mixing grey and brown and loving it. I have none of the doubt and sense of wrongness that comes with wearing black and brown together. And now let's talk about accessories! I pretty much stopped wearing them when I had babies. I didn't want a baby to be scratched, or to yank out my earrings, or to break a necklace. I also just didn't feel like I had time to spare to think about jewelry or scarves or anything. Now that my little boy is 19 months old, I've started wearing a bit of jewelry again. I can't wear any clips in my hair, or bobby pins or anything - my little boy loves to pull them out! But he doesn't mess with earrings or necklaces, so I'm starting there. I think an outfit looks more polished and finished when you add some jewelry, and I like feeling more put together! After a few years of wearing the most comfortable clothes I could find (which weren't always the most attractive or flattering), it's nice to balance a desire for comfort with looking a little bit nicer. 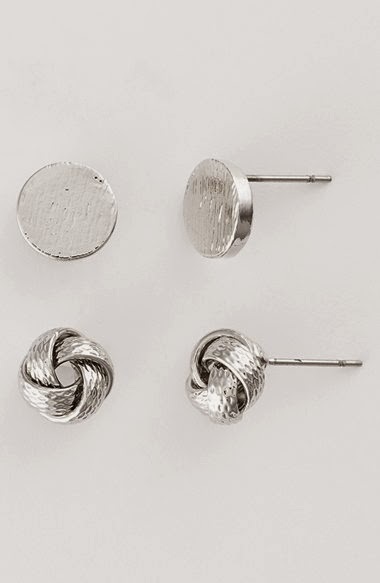 Earrings: studs are great because they brighten up your face and add a little sparkle, and they're so easy to deal with. If they're small enough, you can sleep in them, so you could just choose a pair and stick with them for a week, or until you notice that you want something different. 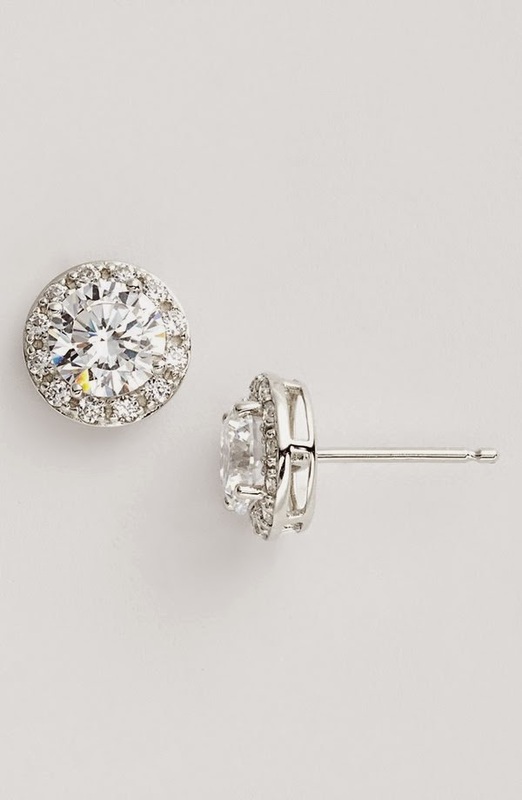 These would add some sparkle. How about these silver discs? I don't like the knots, but I love those plain circles. 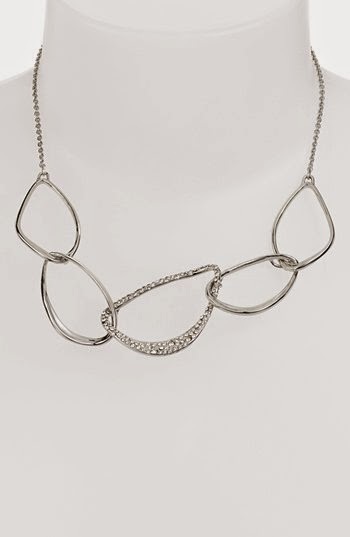 A necklace can elevate any outfit. It can even make a t-shirt look a little more sophisticated and thoughtful. 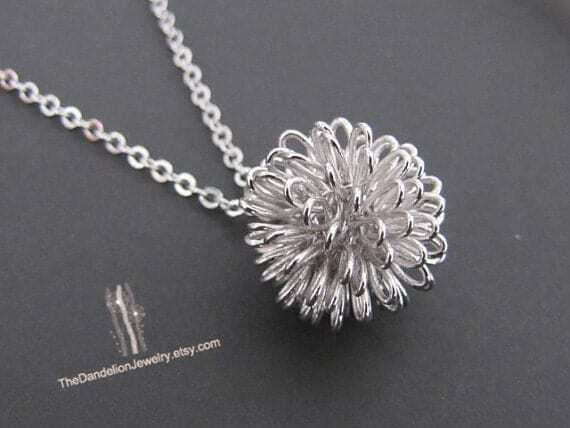 I like this dandelion necklace. Bracelets: I want to wear them while I'm still wearing short sleeves. I'm thinking about adding a leather bracelet to my accessories. What do you think? 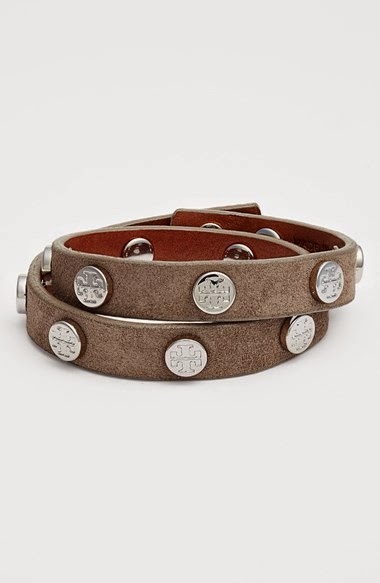 I like this leather wrap bracelet. It's too expensive for me but looks great. I wonder if I could make something similar myself. Yep, here's a tutorial on how to copy that bracelet! And here is a tutorial on making your own beaded leather wrap bracelets. I think I might try this, too. I'll show you what I make, if I find time to do it. I'm also trying out lightweight infinity scarves this fall. A plain shirt and jeans can be the backdrop to a great scarf and make an interesting outfit. I'm loving adding on accessories. I can still dress casually and comfortably, but look a little more polished and put together with just a little more effort.